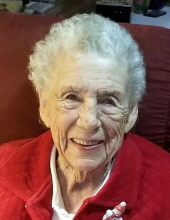 Thelma Orene Shelbourne Powell, age 94, of Bardwell, passed away on Wednesday, April 10, 2019 at Mercy Health – Lourdes Hospital in Paducah. Thelma was born on June 24, 1924 in Carlisle County to the late Silas and Vertie Shelbourne. She was of the Baptist faith. Thelma was a retired production worker for Carter Carburetor. She is survived by two daughters, Rebecca Sue Hofman and husband, Norman of North Aurora, Illinois, and Linda Fay Derr of Bardwell; one son, James Shelbourne Powell and wife Candyce of Kimberling City Missouri; one sister, Francis A. Dodson of Fairview Heights, Illinois; eight grandchildren, 22 great-grandchildren and 21 great-great-grandchildren. She was preceded in death by her husband, James Verl Powell; one daughter, Gloria Jean Powell; one son, Jonnie Lee Powell; two sisters, Jonnie Santen and Virginia Ballard; two brothers, J.W. Shelbourne and Glenn Shelbourne Minton; and her parents. Funeral services will be held at 11:00 a.m. on Tuesday, April 16, 2019 at Milner & Orr Funeral Home of Bardwell with Rev. Rodney Bice and Rev. Brent Kimbler officiating. Burial will follow at Bethlehem Cemetery in Cunningham. Visitation will be from 5:00 p.m. until 8:00 p.m. on Monday, April 15, 2019 at the funeral home. Expressions of sympathy may be made in Thelma Powell’s name to Mercy Health – Hospice: 911 Joe Clifton Dr. Paducah, KY 42003. To send flowers or a remembrance gift to the family of Thelma Powell, please visit our Tribute Store. "Email Address" would like to share the life celebration of Thelma Powell. Click on the "link" to go to share a favorite memory or leave a condolence message for the family.